It is shameful that Britain’s state pensioners, 2 million of whom still live in poverty, are effectively penalised for having savings or private pensions. Meanwhile, grandparents who provide childcare worth £3.9 billion a year, many spending three days a week caring for grandchildren, receive no recognition for their contribution to society. To make matters worse, over-complicated, intimidating, and humiliating means testing is so off-putting that pensioners are leaving up to £2.9 billion of council tax benefits unclaimed. The other parties have made a few token gestures to older people, but the Green Party alone is committed to making Britain a better place to age in. – To end the over complex pension credit system and ensure a decent basic pension for everyone of £170 a week which would be linked to national earnings. – Free insulation to help fight fuel poverty. – Free personal and nursing care for all older people. – Freedom for older people to work. The figure of £170 per week is calculated as the minimum required to keep the basic state pension above the official poverty line, according to the National Pensioners’ Convention, in its Pensioners’ Manifesto, which calls for a range of measures to improve conditions for older people. The three Manchester parliamentary candidates: Gayle O’Donovan, (Central), Justine Hall (Gorton) and Brian Candeland (Withington) support the pledge. Justine Hall said “As a young person I value the experience and wisdom of older people. We should end the default retirement age, so that people would have the freedom to go on working and contributing to society if they wished to, free from discrimination on the basis of age”. There are roughly 12 million pensioners living in the UK and a further 1 million living abroad. Paying a single rate of £170 per week, and a couples rate of £300 per week, will cost £110bn per year. The current basic state pension, plus certain other specific pensioner benefits like Pensions Credits paid to those of pension age (which would become redundant if the basic pension rate was raised to the level we propose) costs £70bn. For the remaining £40 billion, the Green Party would abolish tax relief on pension contributions (£20 billion), and the national insurance rebate on employer and employee contributions to private pension schemes (£19 billion). The final £1 billion would come from increased income tax receipts from pensioners. Gayle O’Donovan, Green Party candidate for Manchester Central in the coming general election, proposed to the Green Party’s spring conference in London that the Greens should support the Robin Hood tax campaign fronted by actor Billy Nighy (Love Actually, Pirates of the Caribbean) and supported by a large number of charities. The Financial Transaction Tax would impose a very low tax on financial products such as stocks, bonds and derivatives but raise around £250 billion for investment in international development and climate change. Gayle said: “This simple tax would have enormous global benefits and I was proud to be one of the proposers of a motion to the Green Party’s Spring Conference that the Greens should support the campaign. Brian Candeland, Green Party candidate for Manchester Withington, who was also at the Party’s spring conference, added “The Green Party has been a long-time supporter of a tax of this nature; it’s good to see its growing support as more and more people realise the massive gap between the financial elite and the rest of us”. The Green Party’s Spring Conference is in London from 18th to 21st February. The motion was passed unanimously by the conference. Think Local, Act Global……go to COP15? Posted on October 11, 2009 | Comments Off on Think Local, Act Global……go to COP15? COP15 looks set to be the largest climate summit ever. It will be held in Copenhagen, Denmark from 7th to the 18th of December. This summit has been billed as our ‘last and best hope’ to do something on a global scale to tackle climate change. But most activists are not confident that these UN talks will solve the climate crisis, at the same time most people know that we cannot continue with business as usual and there is an awareness that we need to work together on a global scale to deal with the issues effectively. There have been many developments in the world since the Kyoto Protocol in 1997 yet we seem no closer to reducing greenhouse gas emissions than we were when negotiations began fifteen years ago. Globally emissions continue to rise, while carbon trading grants corporations a license to pollute. Western governments seem intent on using the same system that brought us the global economic crash to solve climate change. I feel we must take every opportunity to highlight the contradictory nature of these false solutions and this is why our voices need to be heard at Copenhagen. I am going to Compenhagen under no illusions about what the Summit itself will accomplish. There are concerns that it will exhaust alot of energy from campaigners locally, but this has never been reflected in my own experience of attending summits. I always come back energised and confident in the growing movement challenging governments and corporations and rejecting false solutions such as Carbon Trading and biofuels. As a member of the Green Party delegation in Copenhagen I plan to meet campaigners from all over the world who are coming together to discuss climate change and real solutions to this problem. 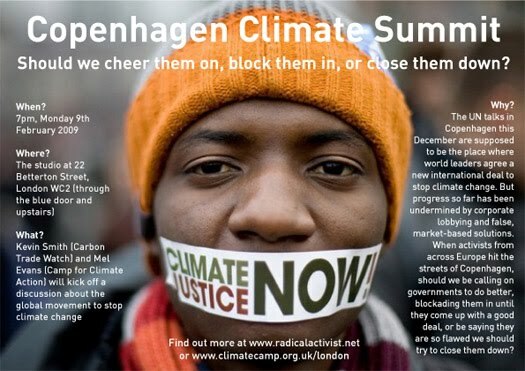 Personally I am most interested in attending the People’s Summit for Climate Justice which will be made up of NGOs, climate change activists, anti capitalists and indigenous people from the global south who are on the front line fighting climate change and its effects. I believe that it is activists who should set the Agenda for Copenhagen and not tired politicians who are constantly failing us. We should come together and discuss real solutions to the growing crisis as it is clear that the a few dominant governments will be doing their best to avoid making any real commitments to change. Comments Off on Think Local, Act Global……go to COP15? Manchester Green Party is saddened by the statements coming out of Manchester Airport this week. Several hundred jobs to go due to the loss of nine of Ryanair’s routes from October. Manchester Green Party campaigns against reckless airport expansion not against the workers, who are in our thoughts at this difficult time. 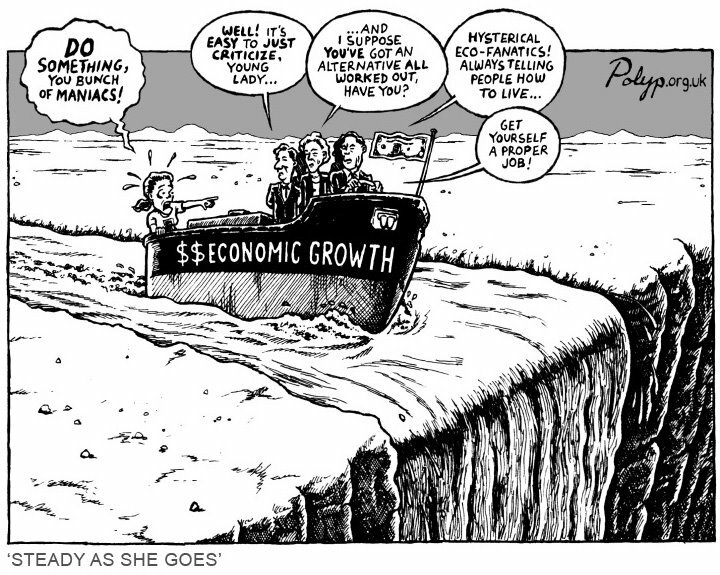 We campaign against those bosses intent on unlimited economic growth at the expense of our planet. As a party keen to push positive long term solutions, we strive to work with unions and workers to develop more sustainable jobs; jobs which maximise quality of life for all. Over 200,000 people a year are already suffering from the effects of Climate Change due to the ‘go-for-growth’ attitude of the minority. It will be the workers, not the bosses who are hit the hardest by the effects of climate change. These bosses show as little regard for the wages and working conditions of their staff as they do for our planet and this is most evident when they are faced with a choice between their profits and people’s welfare. Manchester City Council, who have a 55% share in the airport, agree that global rates of air traffic growth are unsustainable in the long term* and they are aware that it faces an uncertain future burdened with rising fuel costs and taxation as well as national and international regulations to combat climate change. Yet knowing all this Manchester City Council support the Airports Master Plan to double passenger numbers and will continue on this path once this recession passes. We must move our economy away from carbon intensive industries such as aviation. We must make that move now rather than continuing to invest in jobs with no future. We can solve both our economic and environmental crises at the same time by investing in green jobs. Save Green Jobs, Renewables not Dole! Vestas UK is one of the largest employers on the Isle of Wight producing blades for wind turbines to sell to the US market. Until recently it had a view to expand into the UK market but after a difficult few months it has announced it will be closing as of July 31st. This will mean the loss of 600 green jobs and the closure of the UK’s most significant wind turbine manufacturing business. 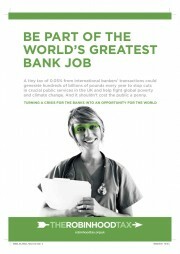 All this not long after Ed Miliband announces the creation of 400,000 green jobs by 2015. Wind power is at the centre of the new ‘Renewable Energy Strategy and Low Carbon White Paper’ which sets out how each sector of the economy will help to meet the overall target of a 34 per cent cut in CO2 emissions by 2020 -seems like a counter productive way to implement this policy as I’m sure you’ll agree! Reasons for the closure of Vestas vary from source to source but pessimism around the future profit margins of the company due to a lack of demand in the UK were sited as a risks to the financial growth of the company since back in March. Other issues raised included an inadequate planning system and a reluctance for local communities to facilitate on-shore wind farms over the costly off shore types. Incredibly, this Labour government has just spent billions bailing out the crooked banks, and £2.3 billion in loan-guarantees to support the UK car manufacturing industry, as well as offering millions in subsidies to help foreign car companies through the car scrappage scheme; the least they could do is step in to save the infrastructure we are really going to need to ensure our climate security. Staff at Vestas, local residents along with unions and environmentalist groups including the Green Party are demanding the government nationalise the factories and continue production under new management. This campaign has galvanised support from all ends of the political spectrum….and how do the Vestas management and our government react? Well, they have put up a fence around the occupied plant, have said that the staff who are involved with the protest will be fired and therefore not receive any redundancy, and the police are stopping people and food from getting in!